Star Wars: Battlefront is a series of first- and third-person shooter video games based on the Star Wars films. 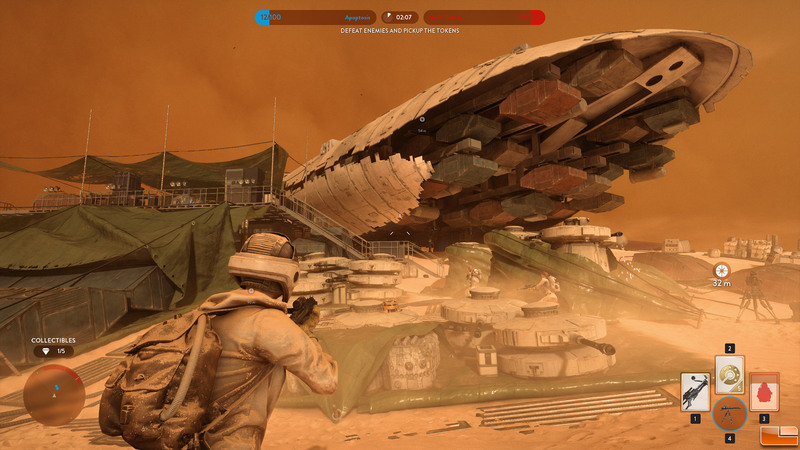 Players take the role of soldiers in either of two opposing armies in different time periods of the Star Wars universe. 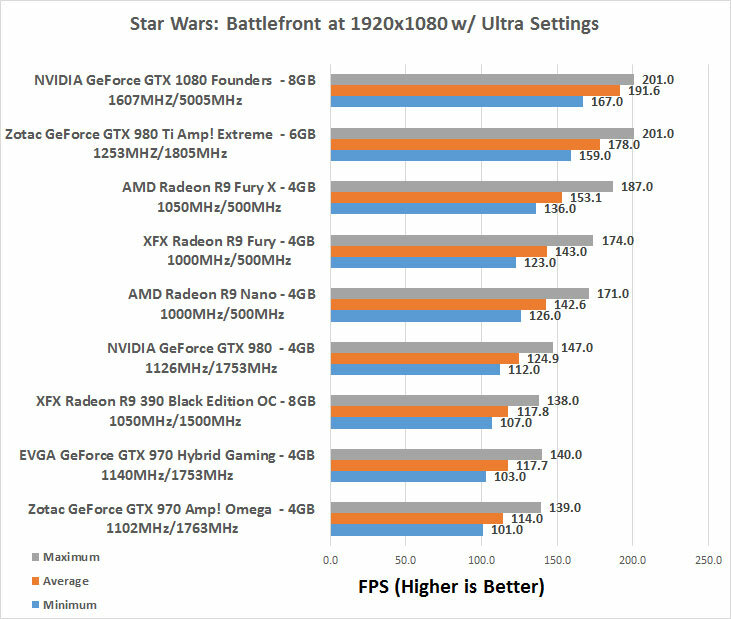 Star Wars: Battlefront is built on the Frostbite 3 engine. Thief is the fourth title in the Thief series, developed by Digital Illusions CE and published by EA DICE/Disney Interactive on November 17, 2015. 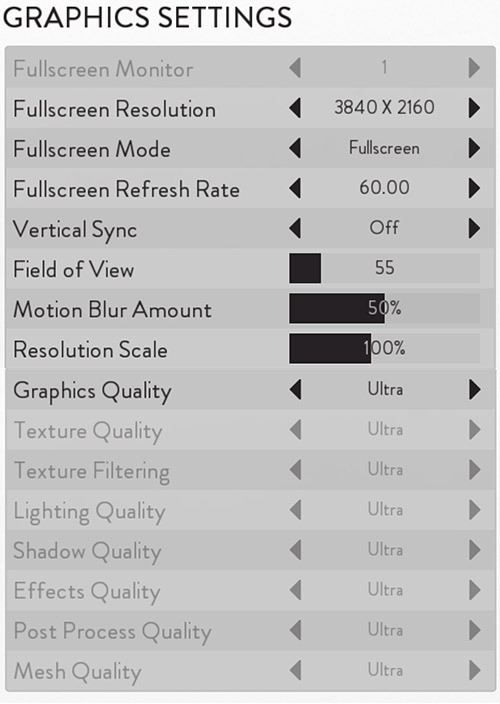 We ran Star Wars: Battlefront with the image quality settings set at Ultra and VSYNC was disabled. 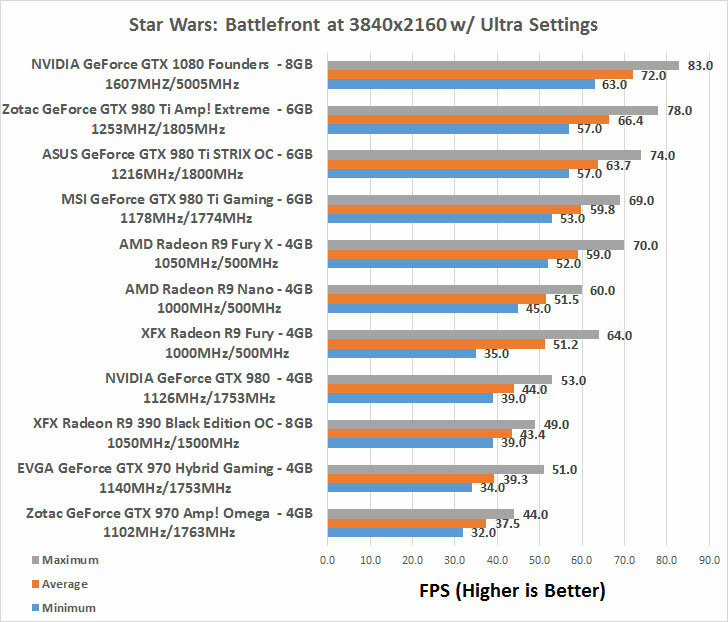 We used FRAPS to benchmark with these settings on Battle on Tatooine. 1080P Benchmark Results: All of these high end cards were able to play Star Wars: Battlefront at 1080P Full HD resolution and it looks like we are becoming CPU limited here on the higher end cards! 1440P Benchmark Results: When we played Battlefront at 2560×1440 the GeForce GTX 1080 still averaged 134 FPS and had more than enough power to play this game title with ease. 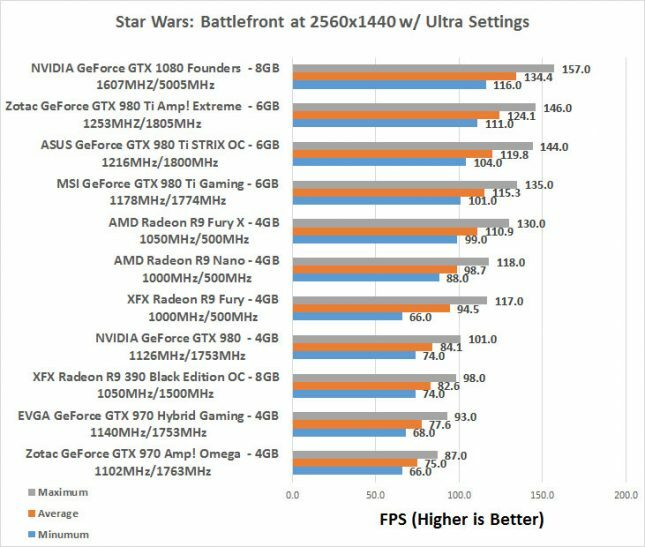 4K Ultra HD Benchmark Results: When moving up to 3840×2160 the average FPS was 72 FPS on the GeForce GTX 1080 and the minimum never dropped below 60 FPS!